Messy, Beautiful, Fun: Monday Inspiration: Reach For The Stars! 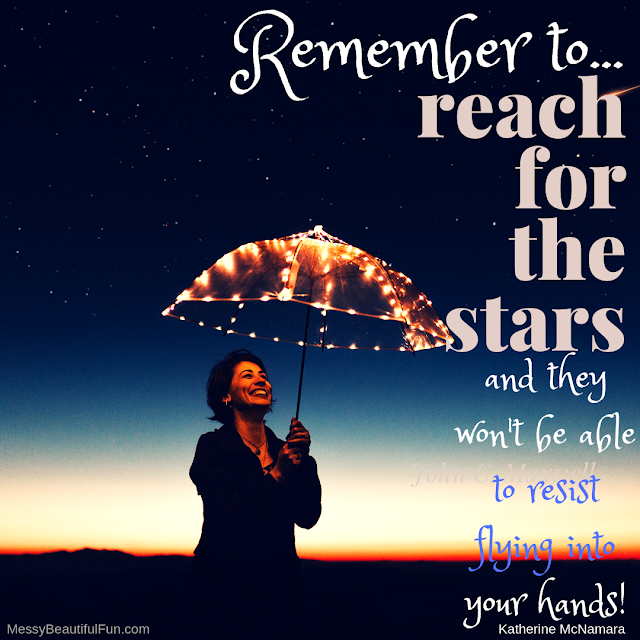 Monday Inspiration: Reach For The Stars! Here is some Monday Motivation for you this week! Just a little reminder to always try - because unless you do you'll never know what might have happened! "Remember to reach for the stars and they won't be able to resist flying into your hands"
Please feel free to repost or share this inspirational pic anywhere, just remember to leave the watermark (messybeautifulfun.com) in place!